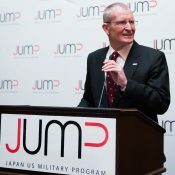 General Ralph E. “Ed” Eberhart supports JUMP because of JUMP’s events and activities that continue to keep those who served in Japan involved in the Japanese culture and affairs. 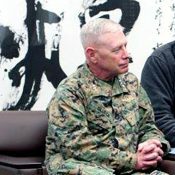 Lt Gen (ret) Francis Wiercinski emphasizes the importance the teamwork between U.S. forces and JSDF, and the importance of maintaining friendships and relationships in his endorsement of JUMP. 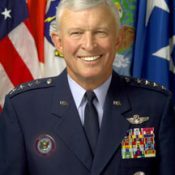 Lt. Gen. Kenneth J. Glueck Jr., USMC (ret. ), endorses JUMP as a way to stay connected, relive great connections, and help to shape the future of the U.S.-Japan alliance. Admiral Dennis C. Blair, USN (ret.) endorses JUMP as a powerful tool through which we can continue to build upon the U.S.-Japan alliance. Click through to read his thoughts on the program. Adm. Blair is a renowned expert on Pacific military issues, having served as Director of National Intelligence and Commander in Chief of the U.S. Pacific Command. During his 34-year Navy career, Blair served on guided missile destroyers in both the Atlantic and Pacific fleets and commanded the Kitty Hawk Battle Group. 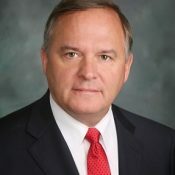 Ashore, he served as Director of the Joint Staff and held budget and policy positions on the National Security Council and several major Navy staffs. JUMP Program curates news and opinions from media outlets around the world in order to present a holistic view of the U.S.-Japan relationship.